Quick Start Guide – Additional resources available HERE. 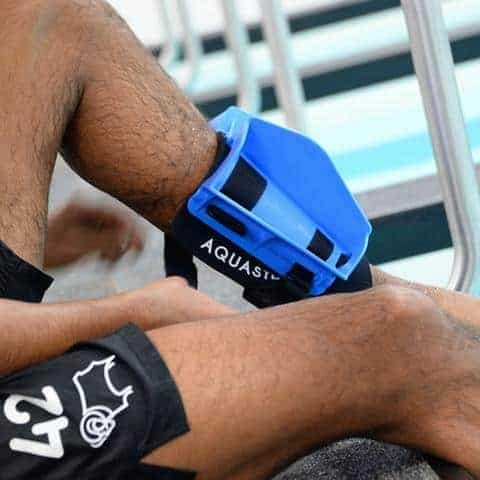 The Aquastrength Lower Body Aquatic Training Fins includes everything you need to work on Lower body strength, muscle tone and stability. 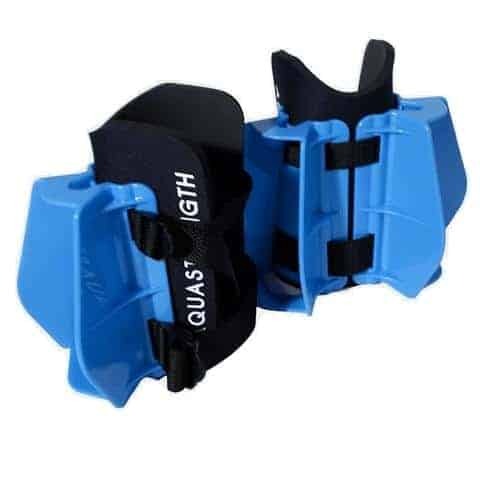 These fins are suitable for all ages and abilities. 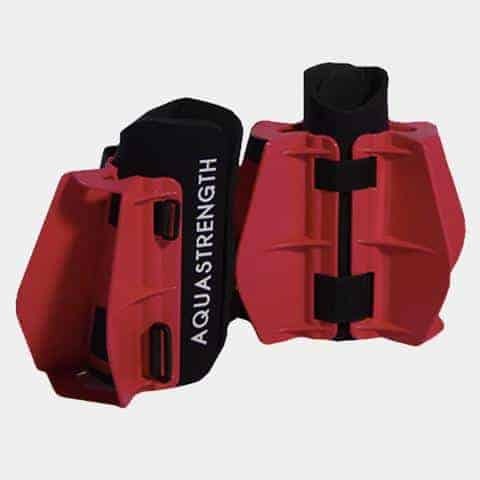 The Aquastrength Fins are designed for lower body exercise and attach around the calf for a total body workout. They have a patented four blade design that provides resistance in all directions. The Industrial strength velcro closure makes taking the fins off and on very easy. The neoprene front sleeve allows for a snug fit and prevents sliding and rotating around the ankle when exercising. The V taper in the design is the first of its kind to provide more comfort to the user when exercising. Available in pink and blue. Both colors provide same level of resistance.